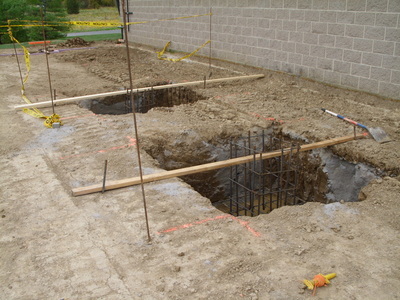 They broken through! 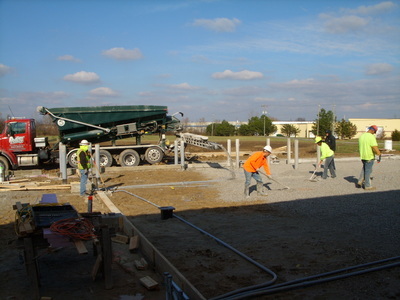 The current building and the new building are now connected. 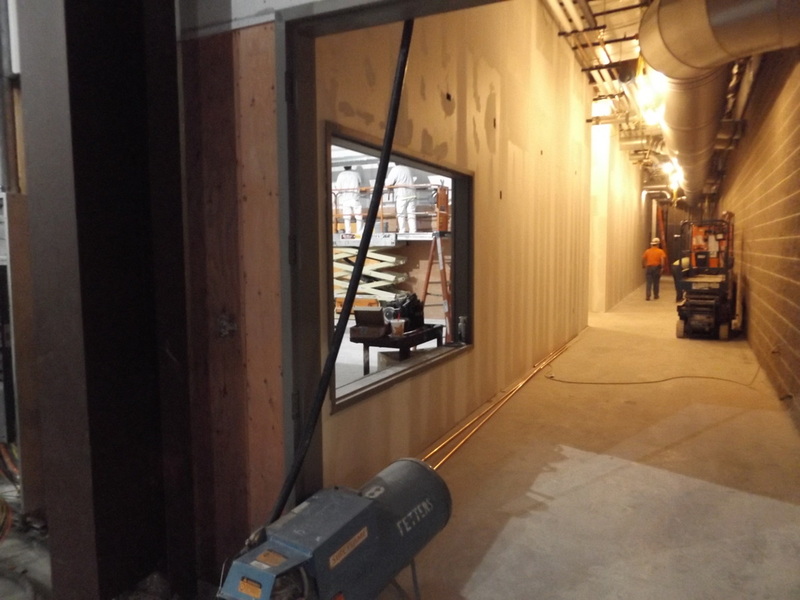 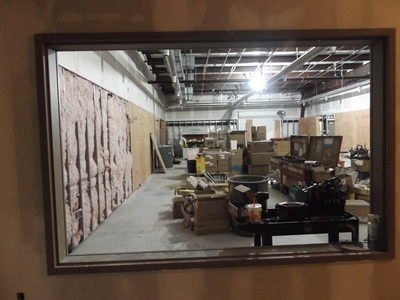 The new JATC vestibule is being built. 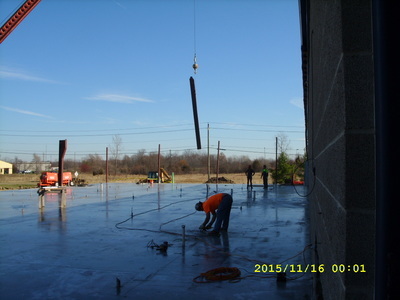 They have poured the slab for the fenced in storage area and the computer room and break have been framed! 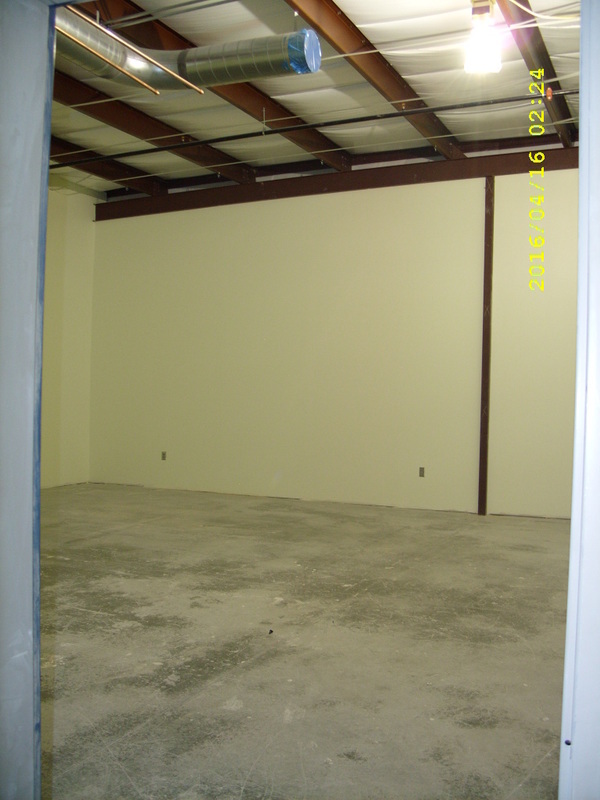 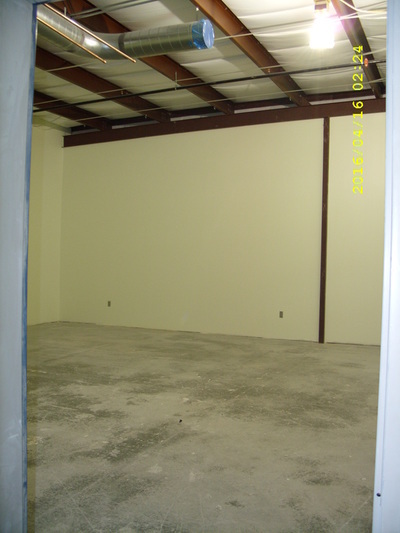 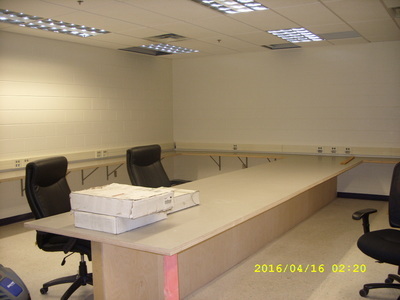 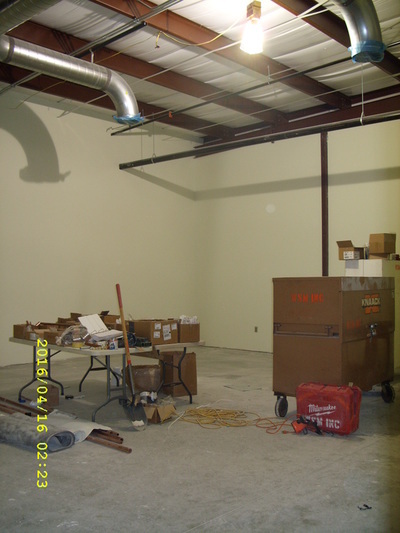 Painting is being finished and the conference room is under construction and being remodeled! 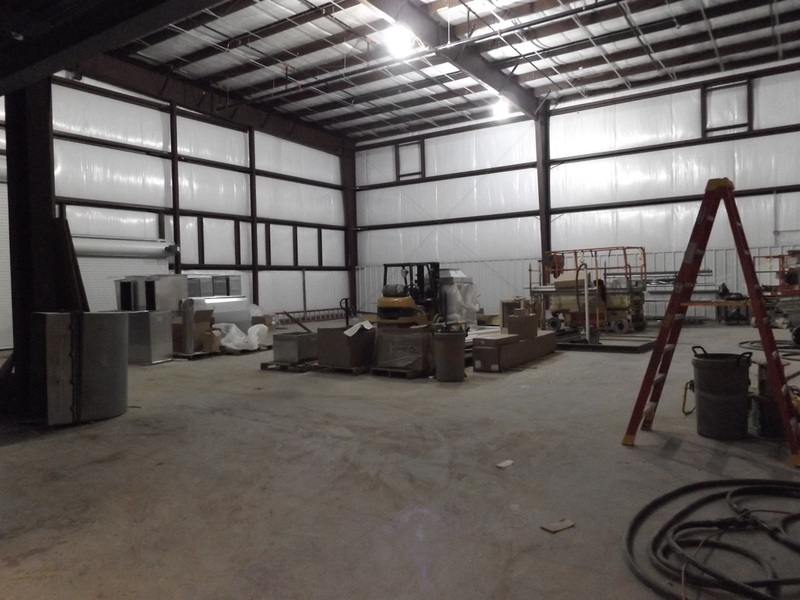 A lot of progress has been made over the last 3 1/2 months! 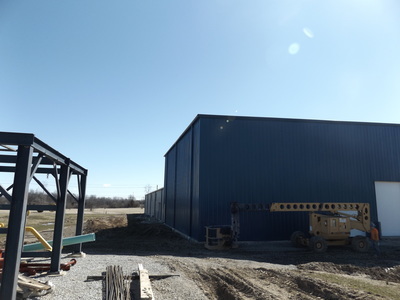 All siding, trim and flooring is finished! 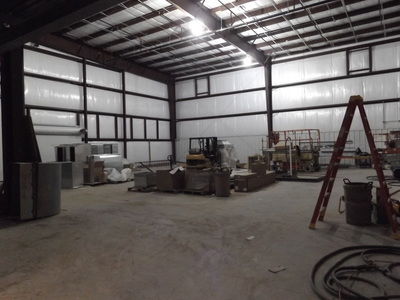 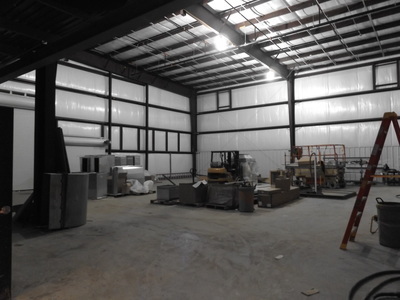 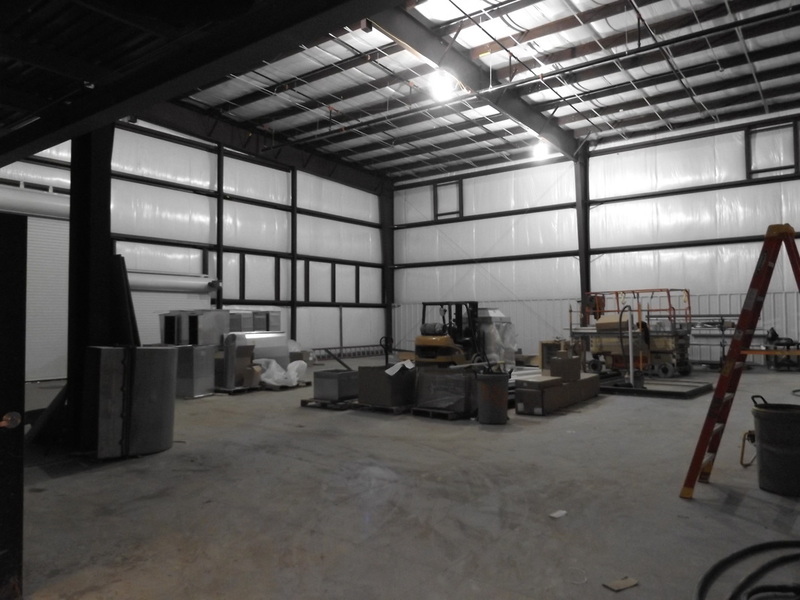 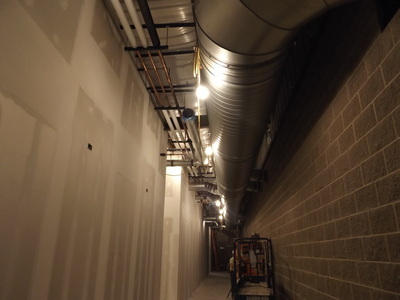 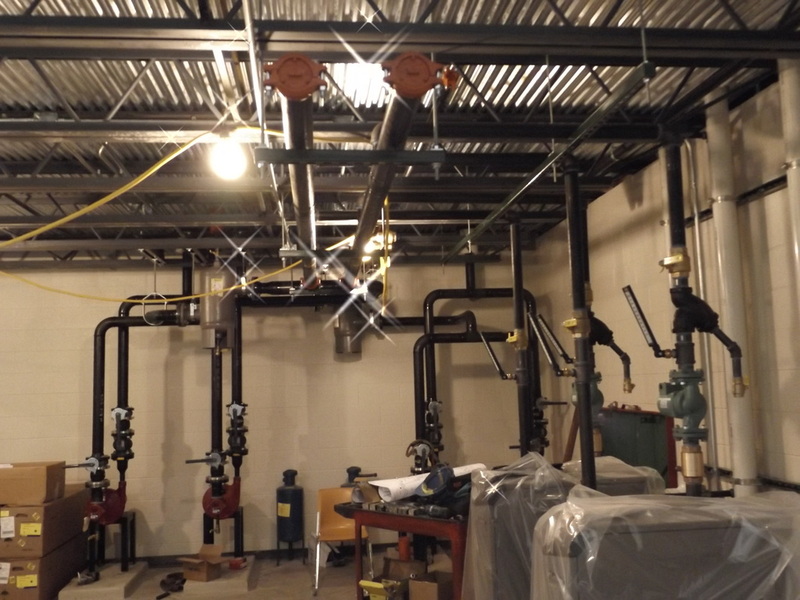 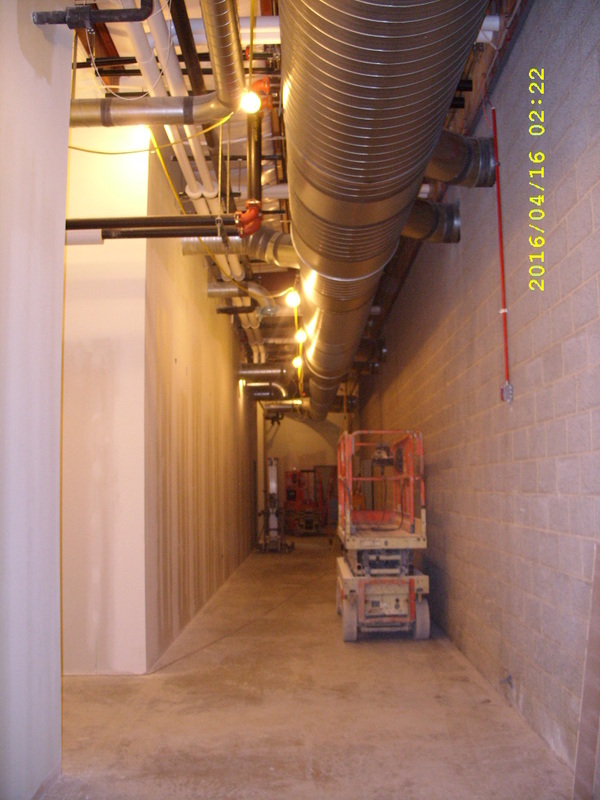 The dry wall and rough-ins are 60% done and the piping and lighting has begun! 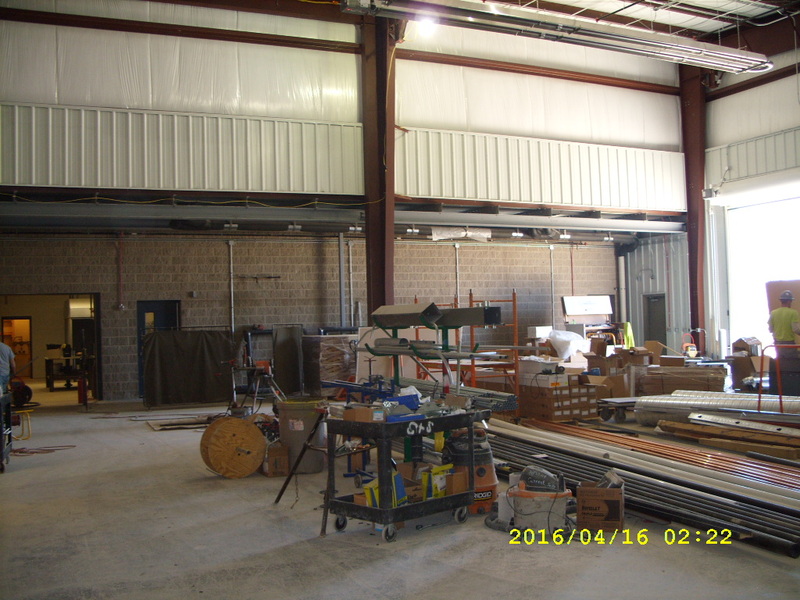 The tentative completion date is set for May 20, 2016! 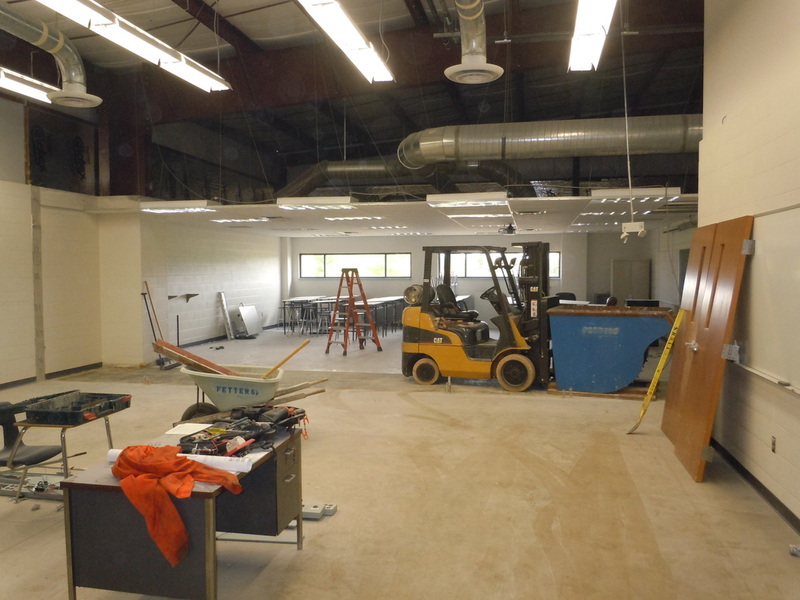 Check out the progress below! 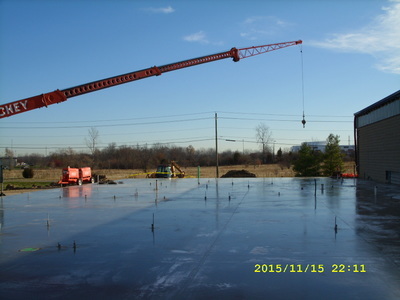 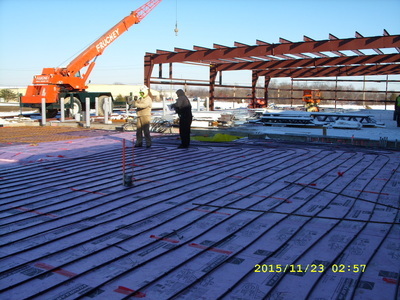 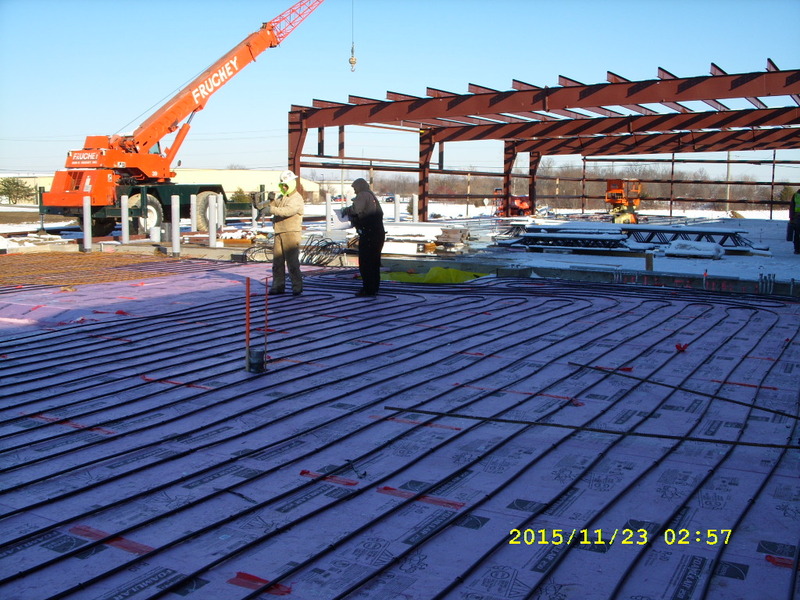 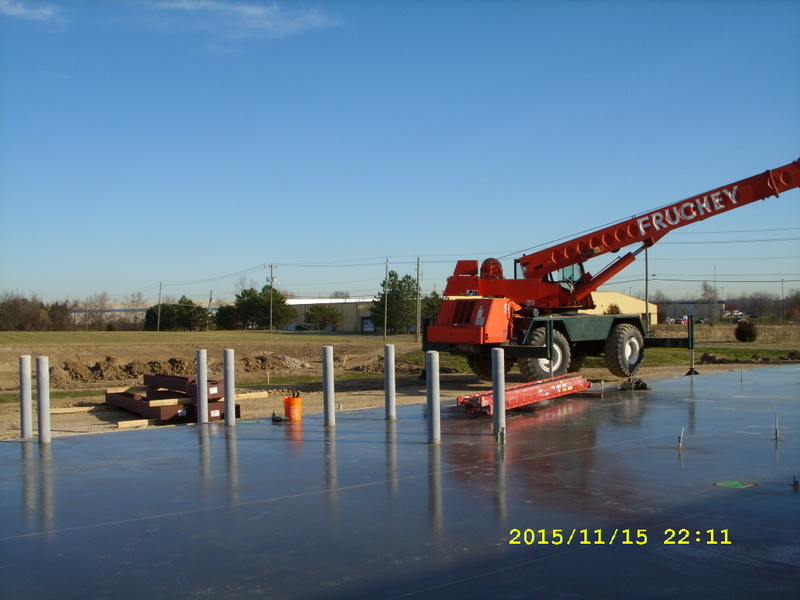 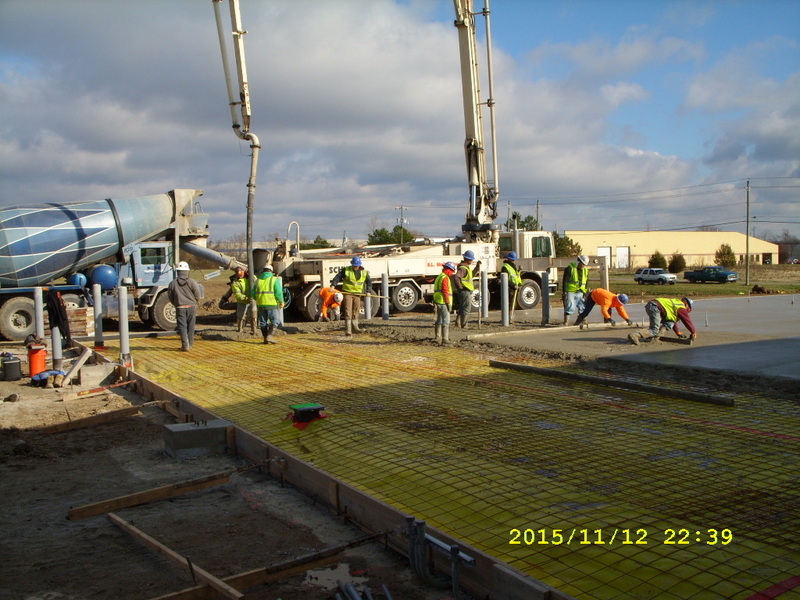 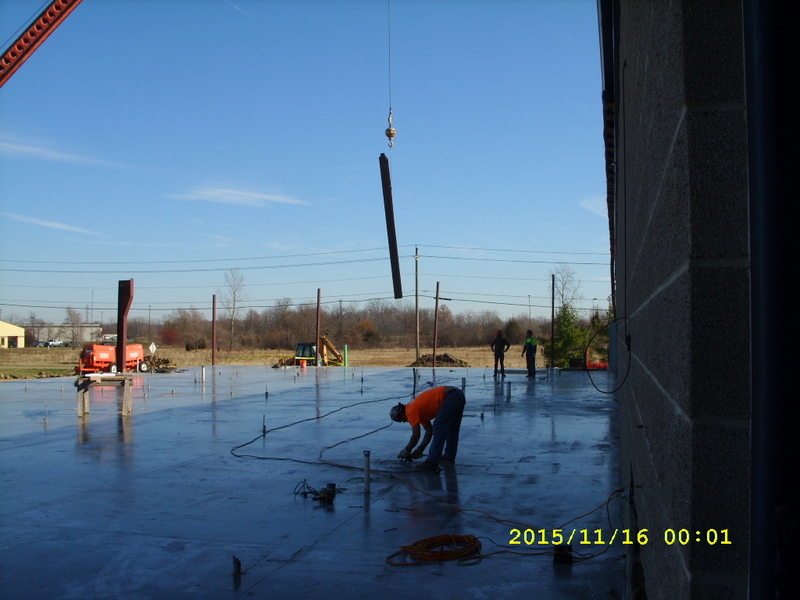 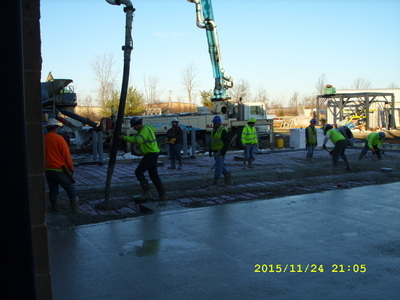 The slab on the east has been poured and the slab on the west was poured today 11/25! 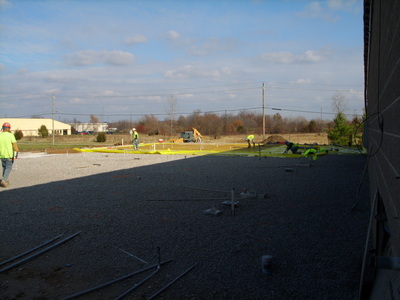 The sand pit has been poured and the walls are up. Red iron is being erected, the lower part should be done before Thanks giving. All of the red iron should be done in 2 weeks and siding will follow after that. 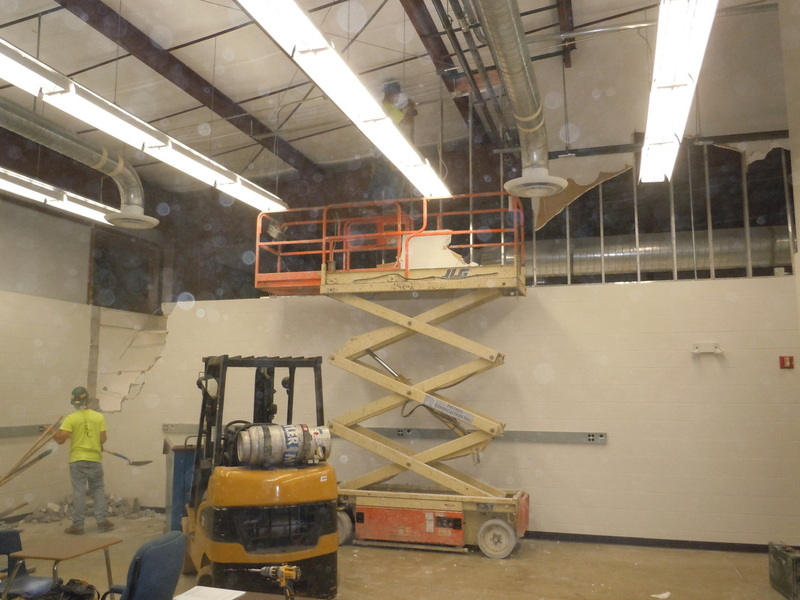 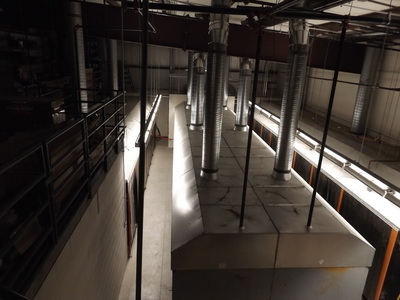 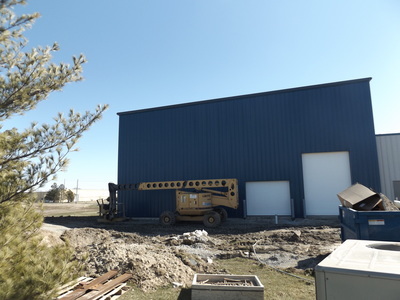 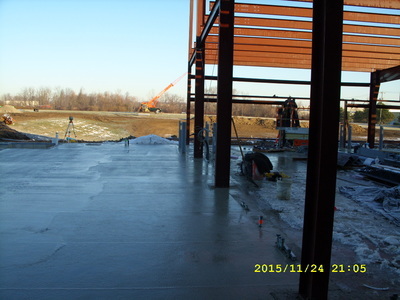 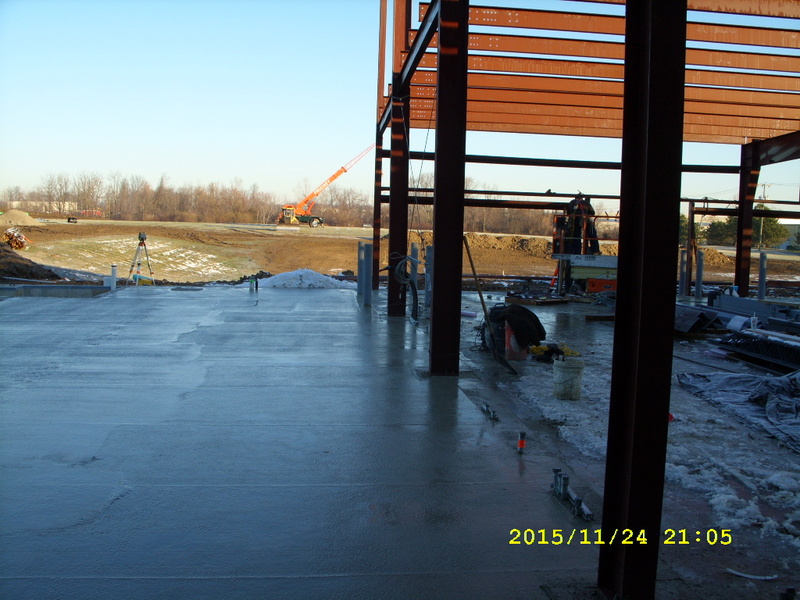 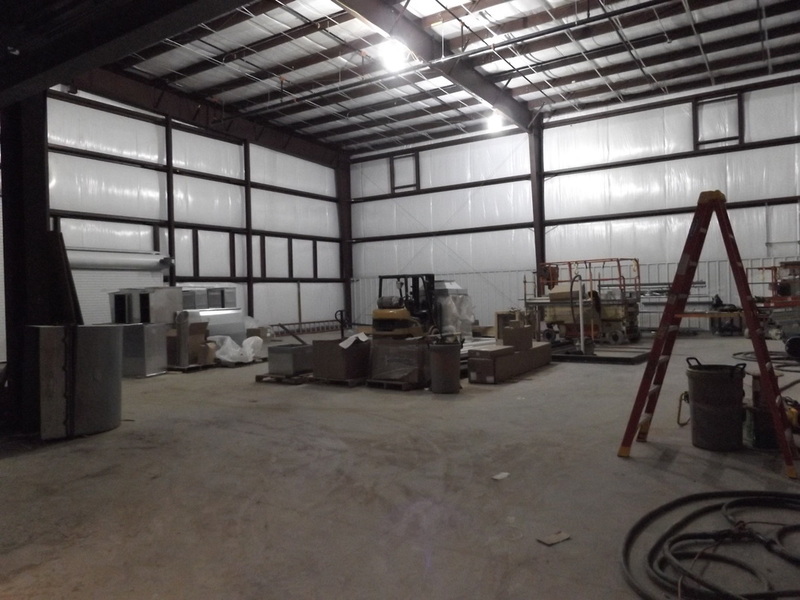 Masonry has started on the mezzanine, it is scheduled to be done before Christmas at which time all equipment will be brought in for the mezzanine. Check out progress pictures below! 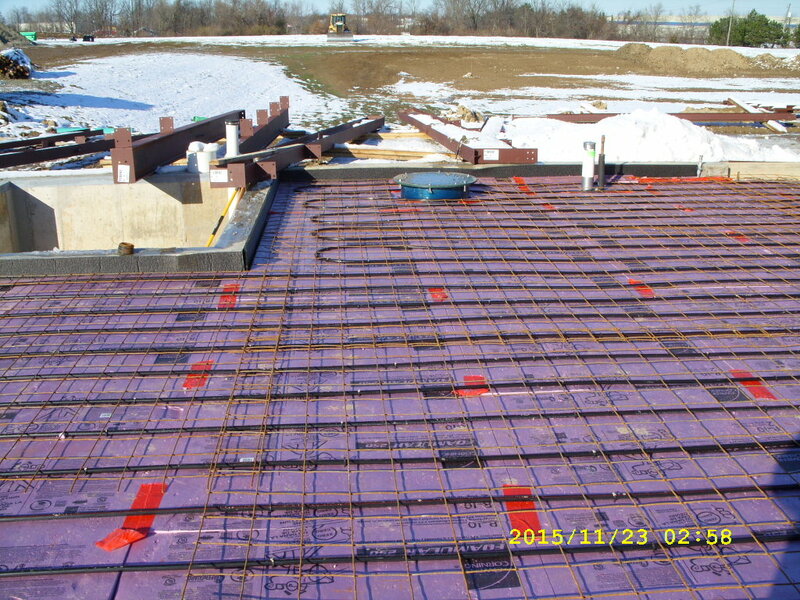 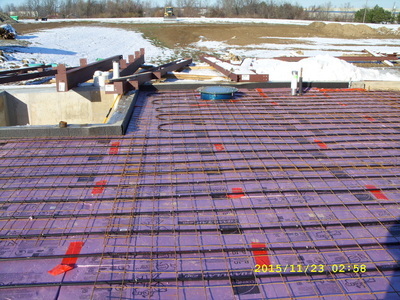 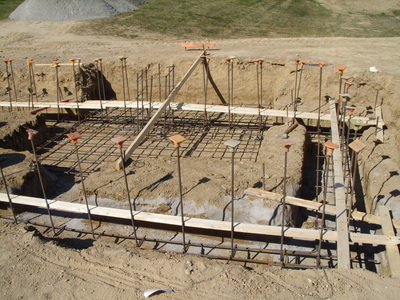 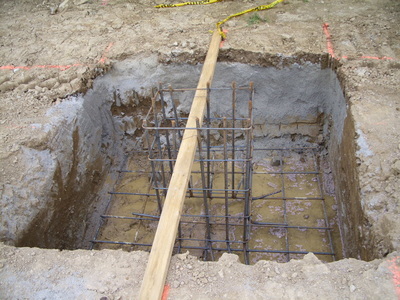 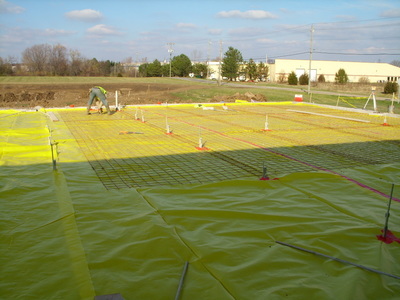 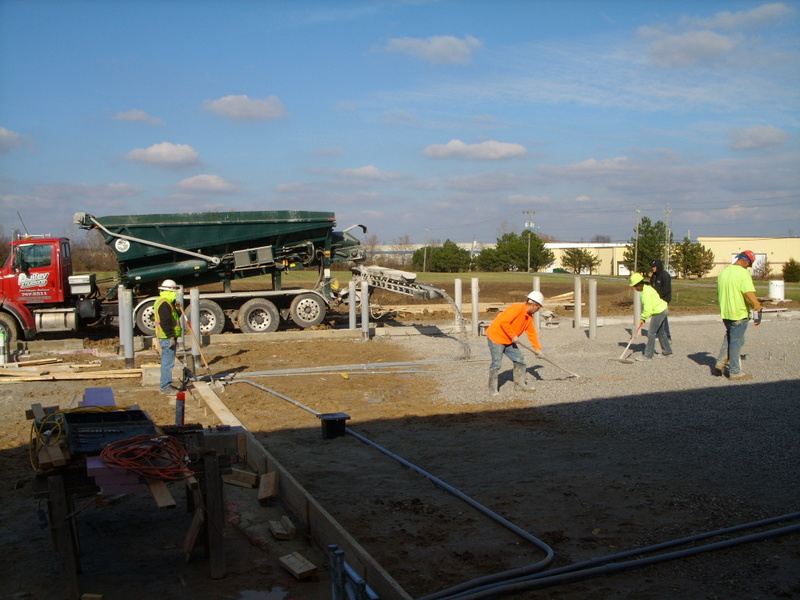 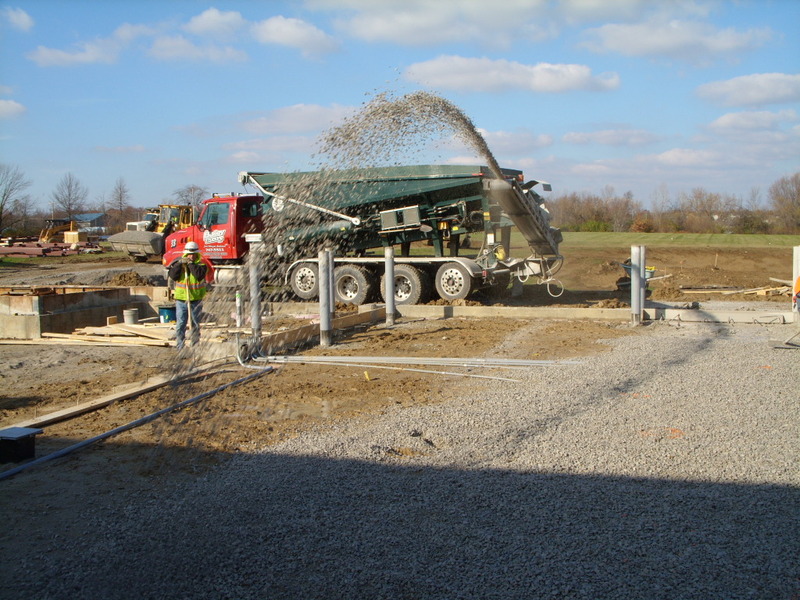 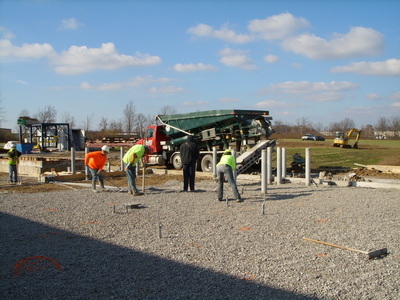 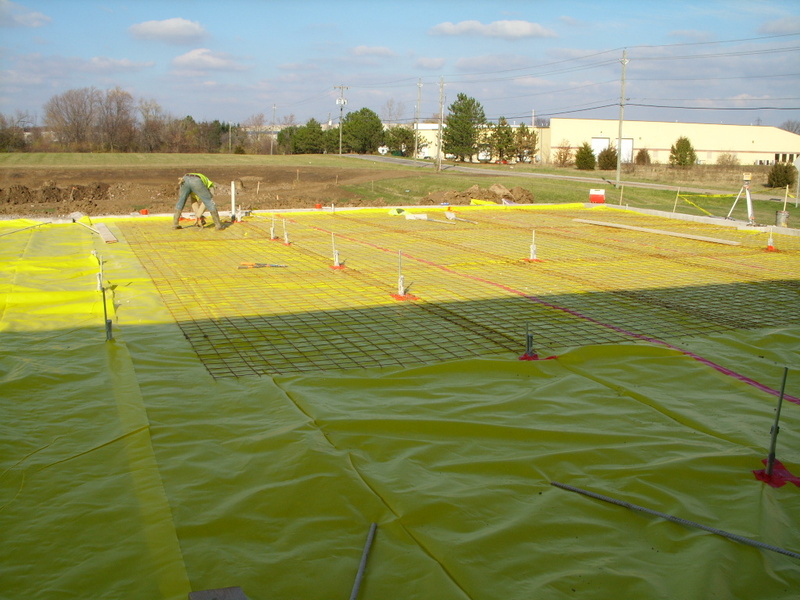 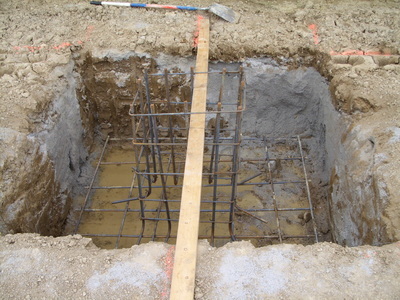 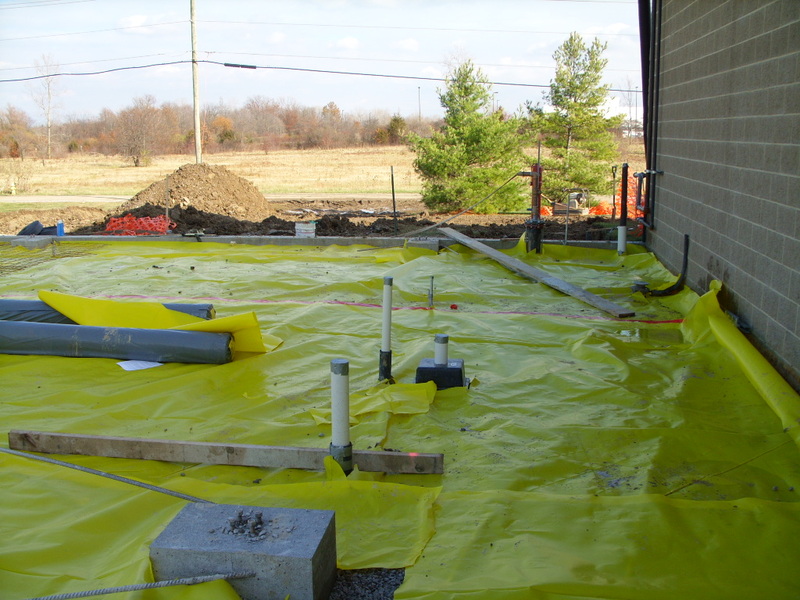 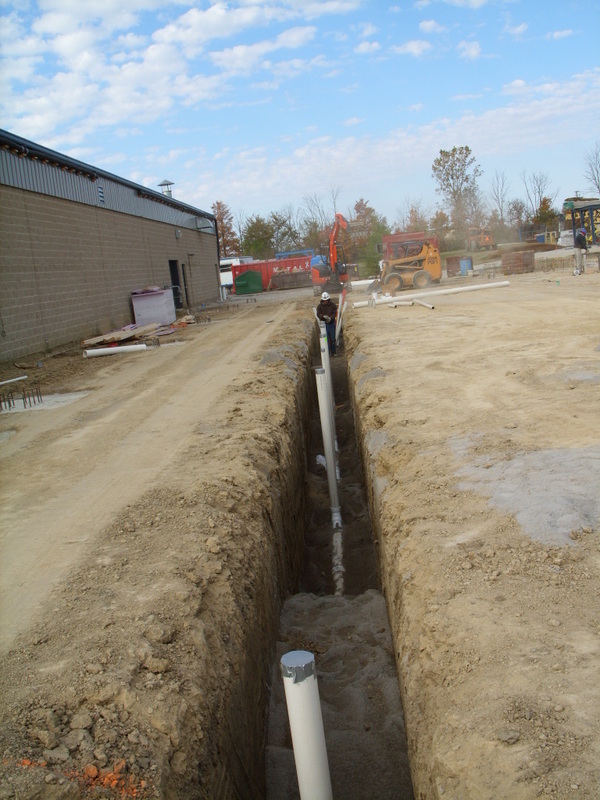 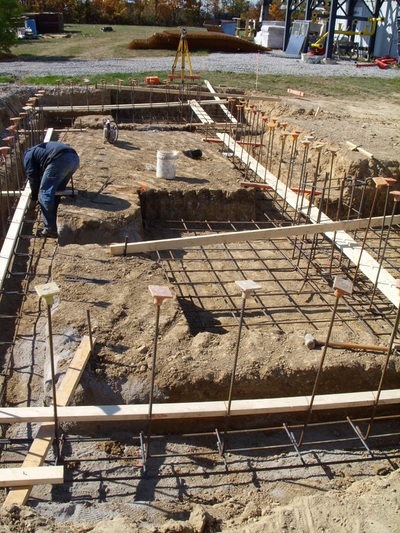 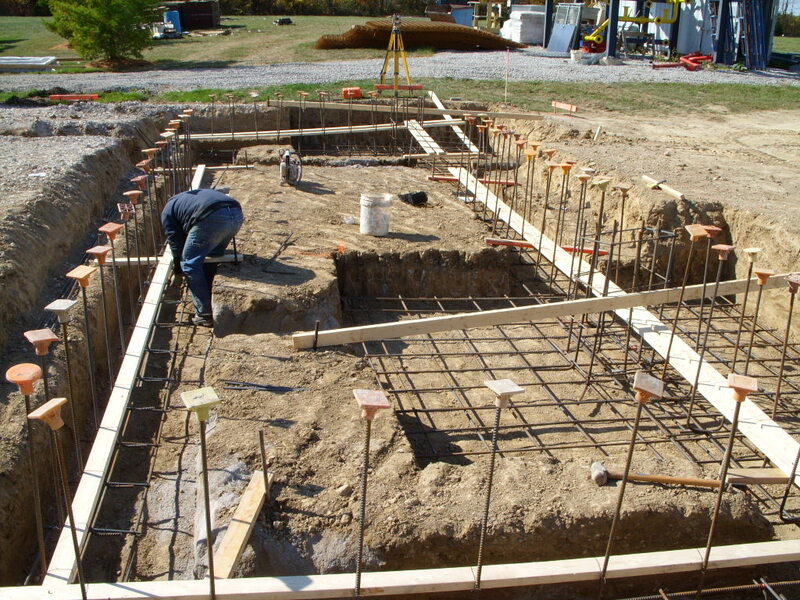 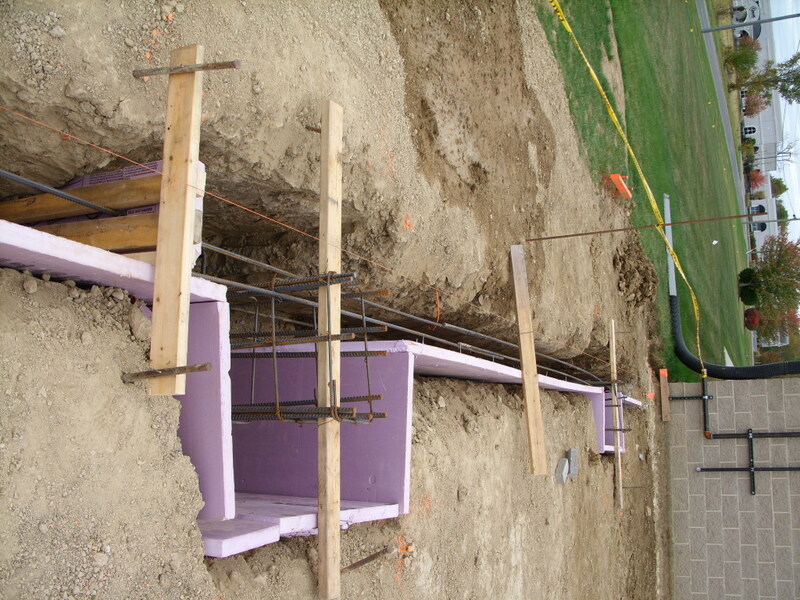 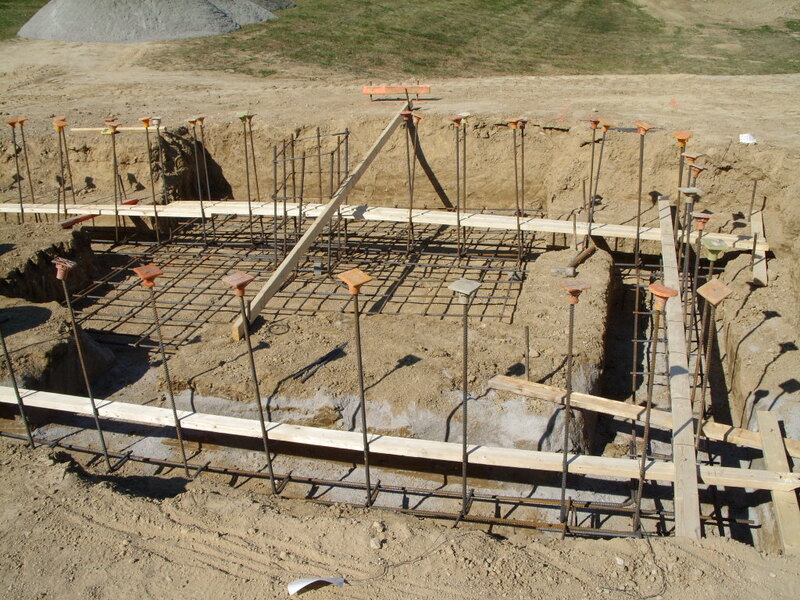 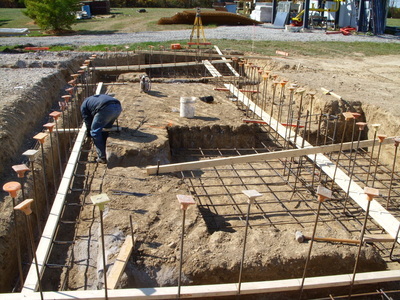 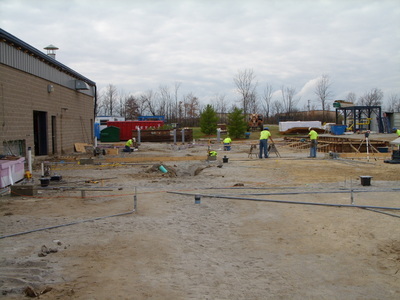 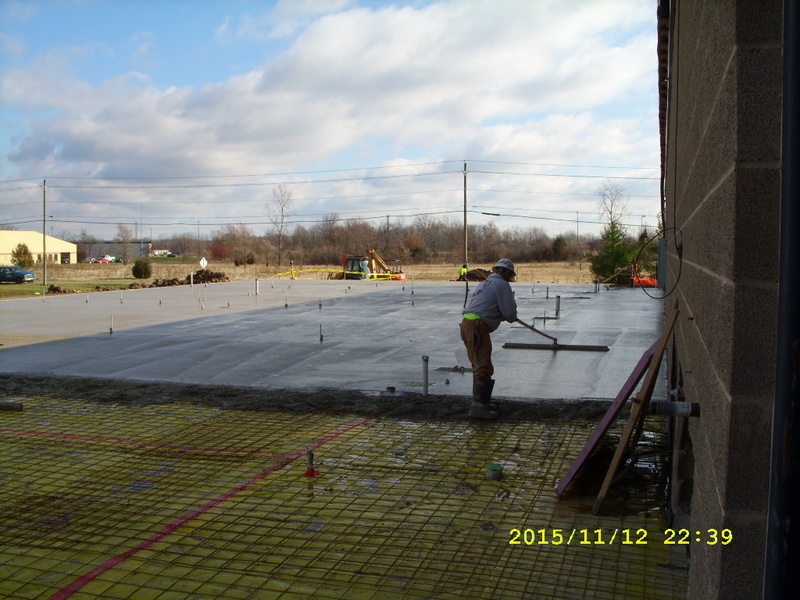 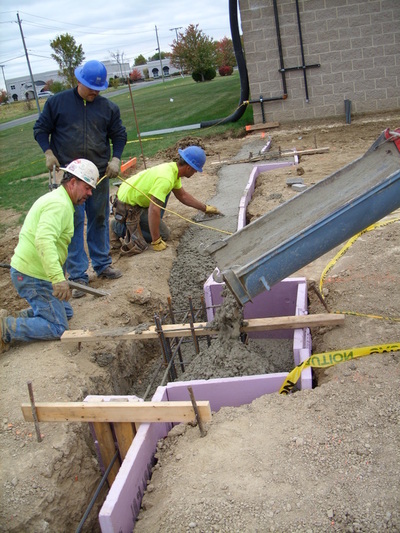 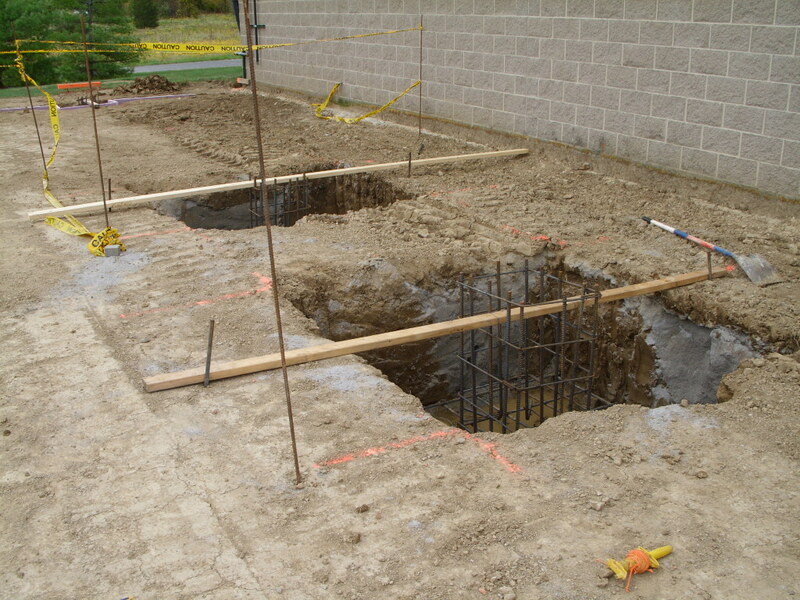 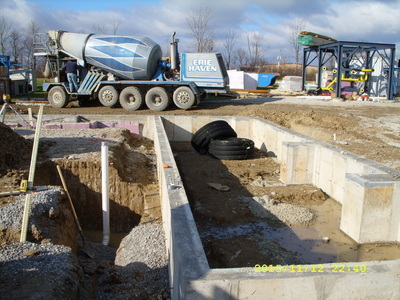 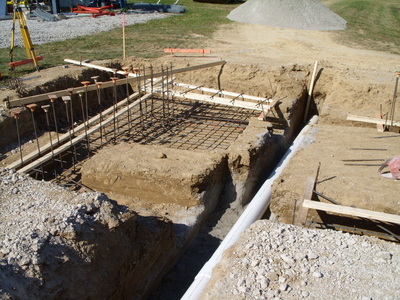 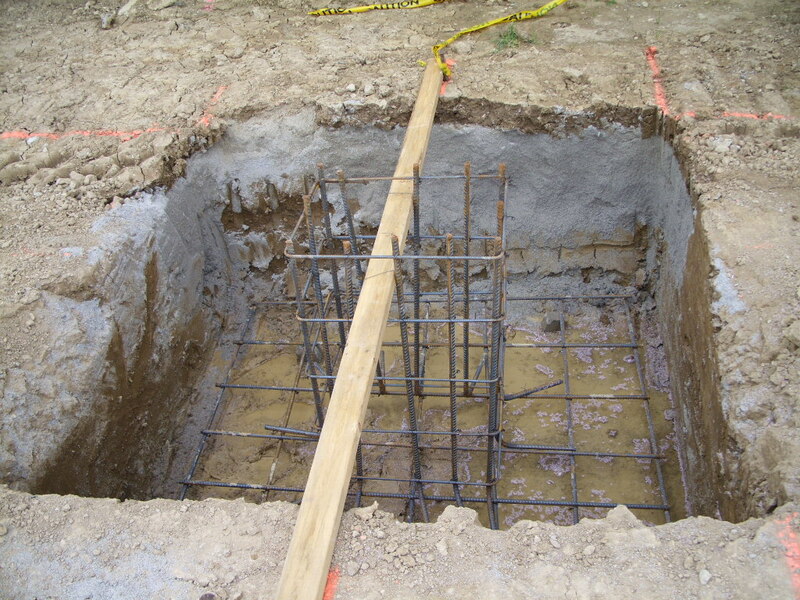 All the footers have been put in and all curb walls are formed and ready to have concrete poured. 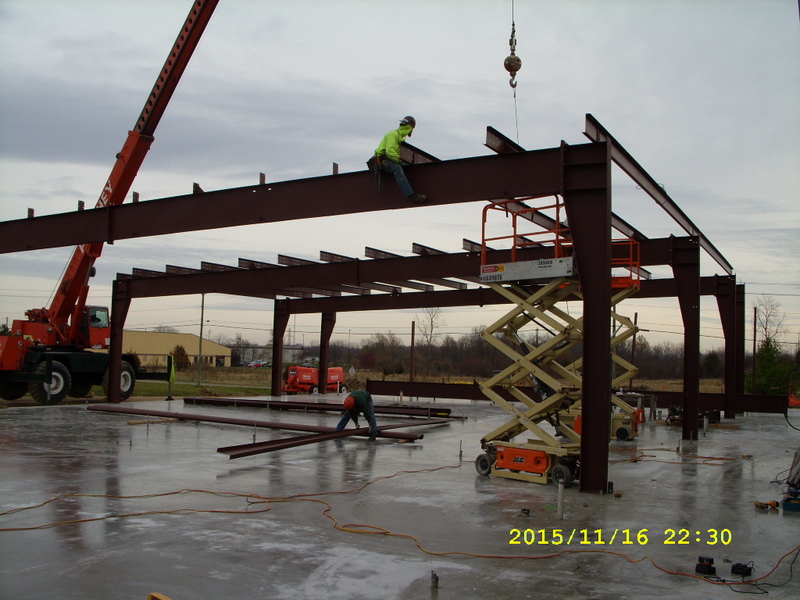 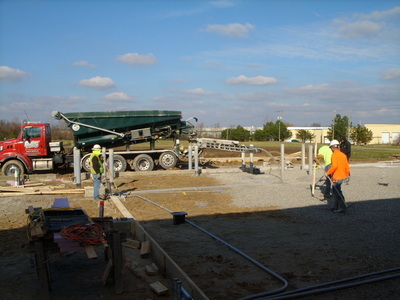 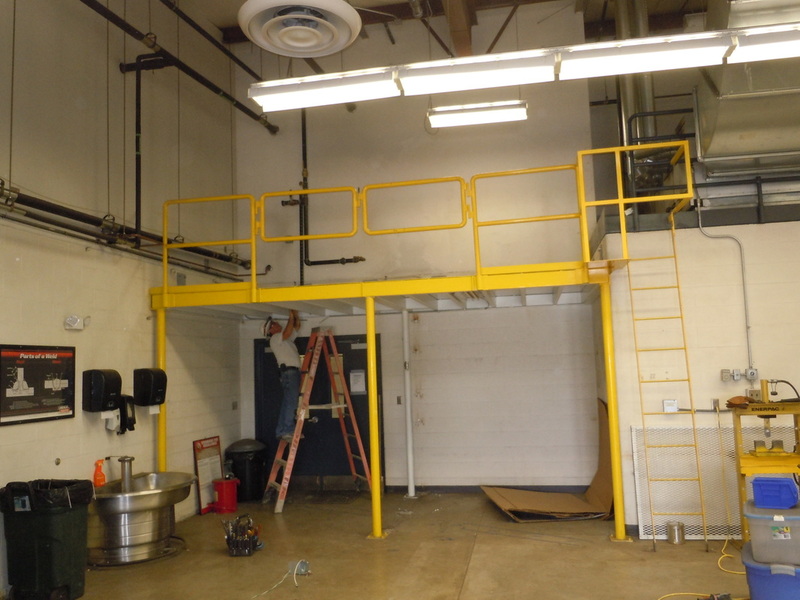 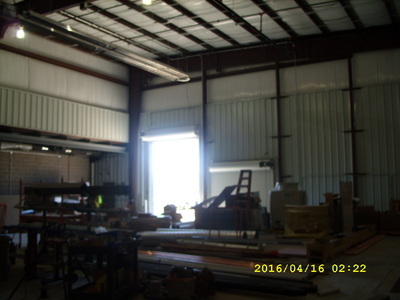 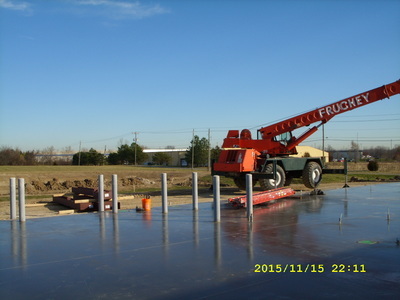 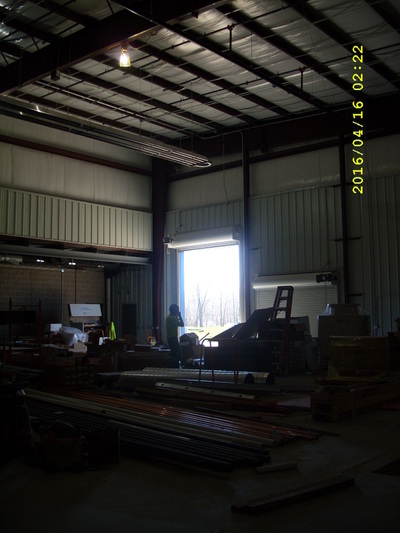 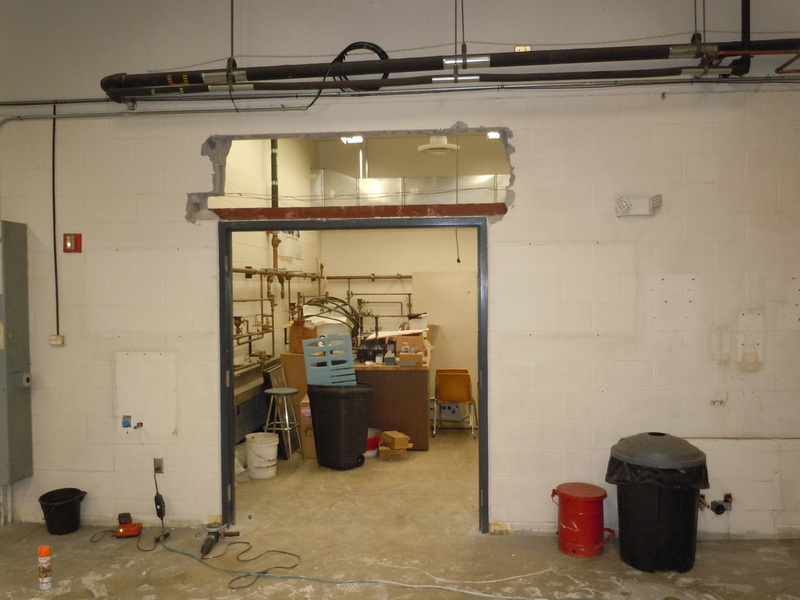 The steel for the new weld shop is in and construction on that will start soon. 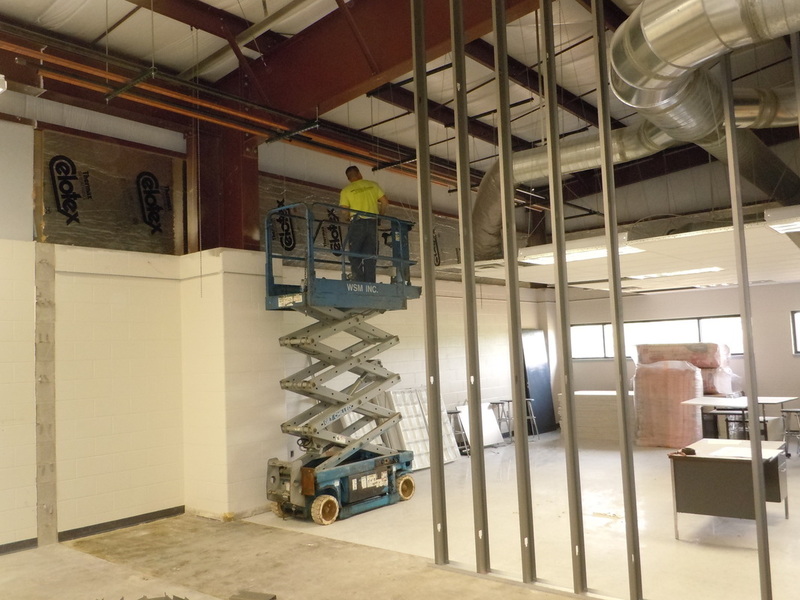 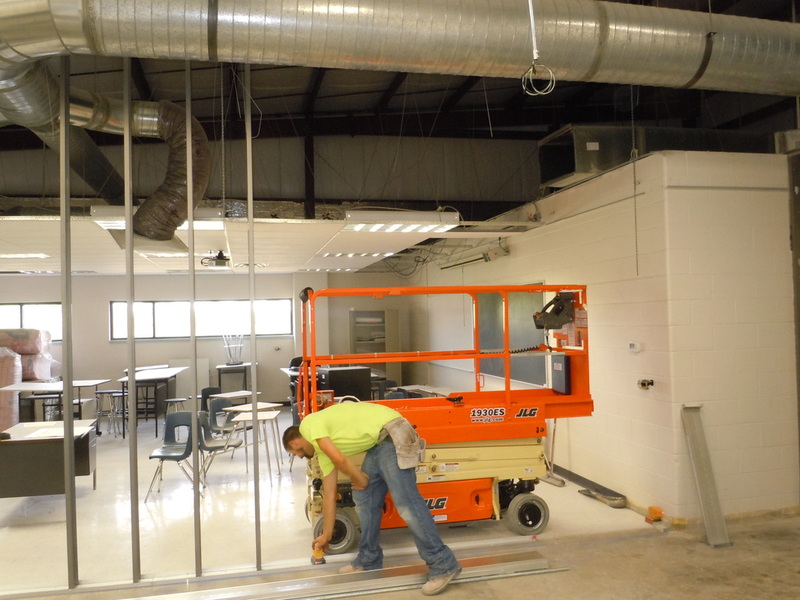 Welding on the mezzanine has started for our second story mezzanine! 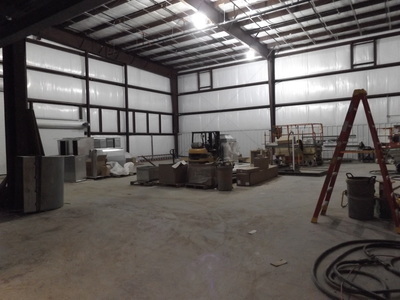 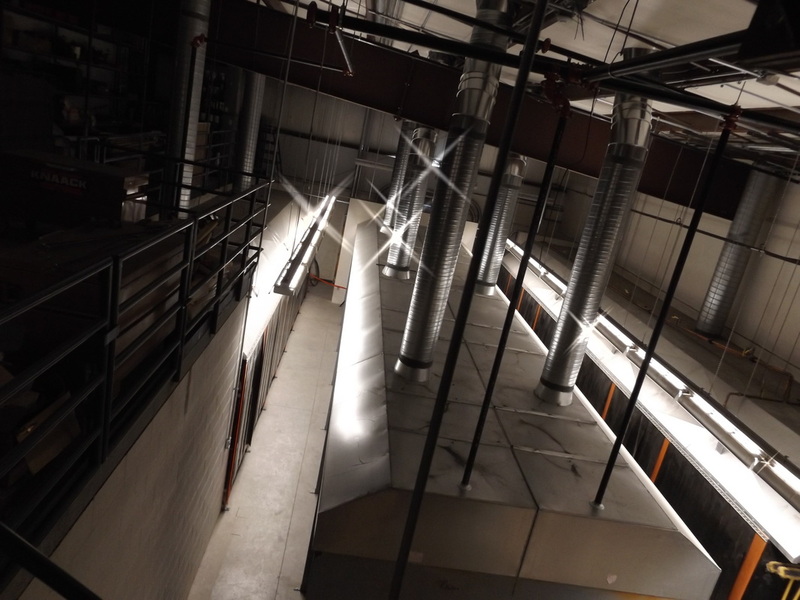 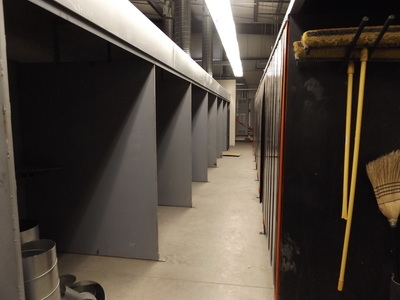 Below are progress pictures, check back in a few weeks for more! 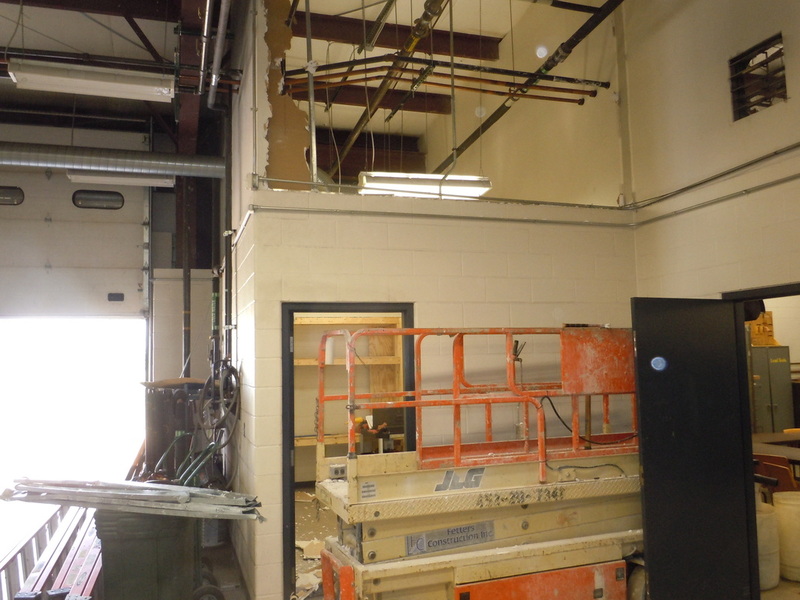 Construction on the new addition to Local 166 has begun! 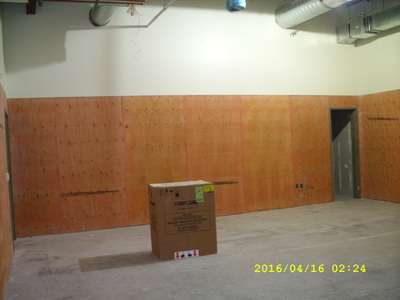 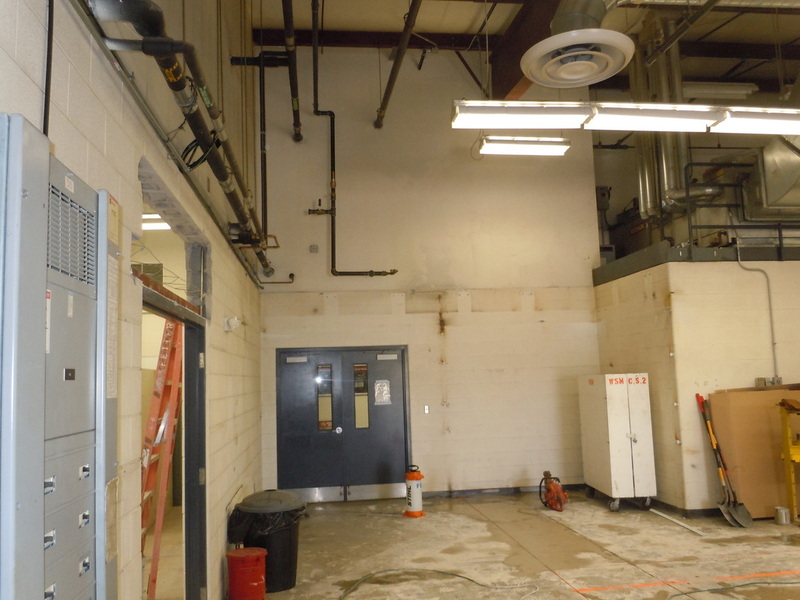 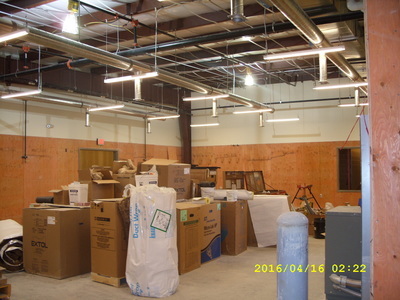 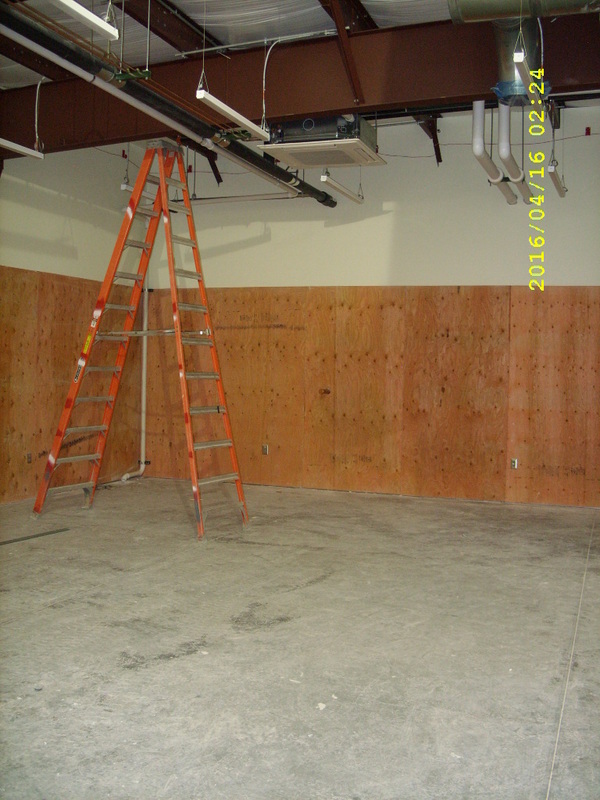 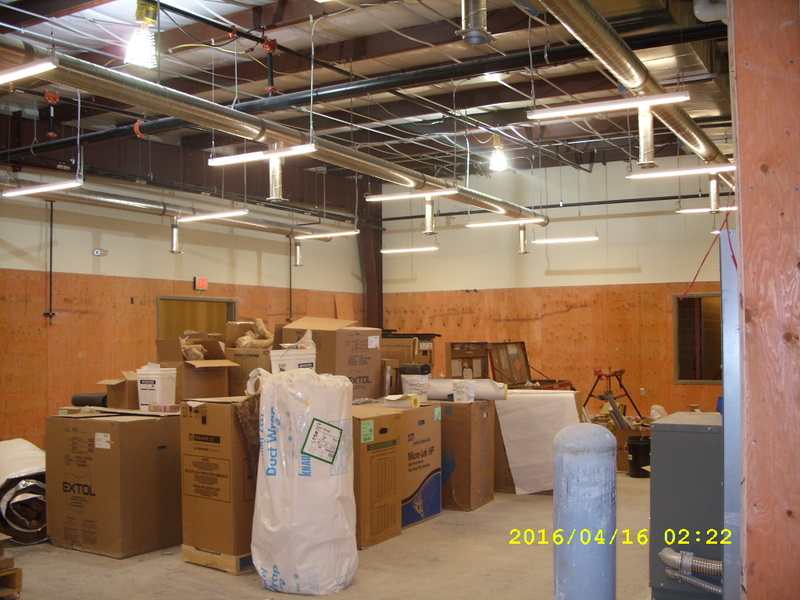 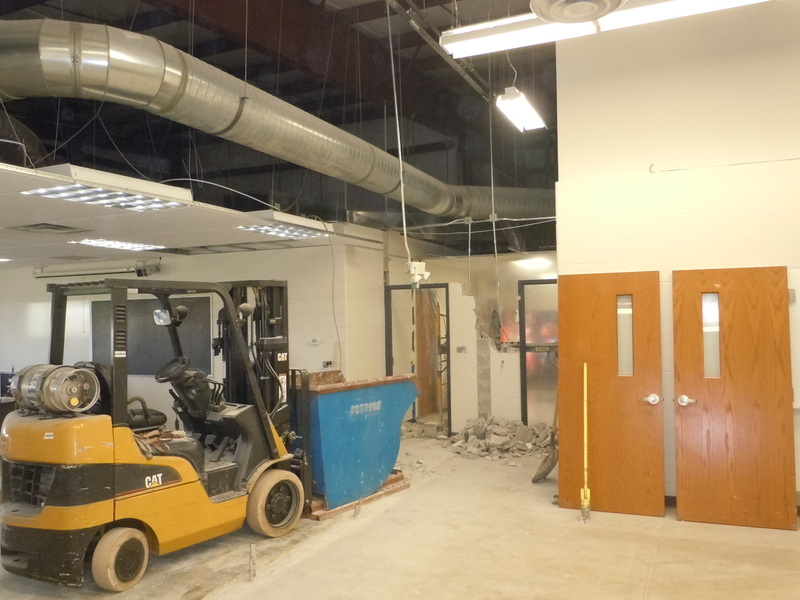 In the beginning weeks there has been block wall, electrical, and flooring demo. 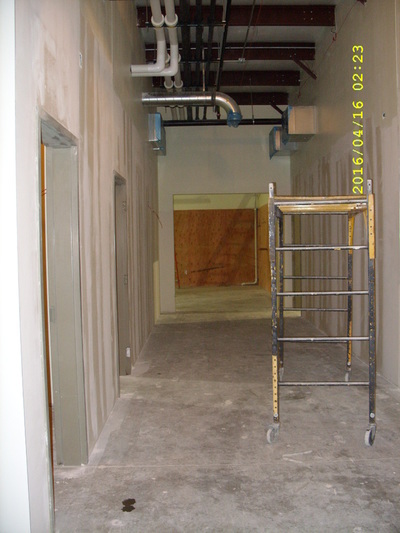 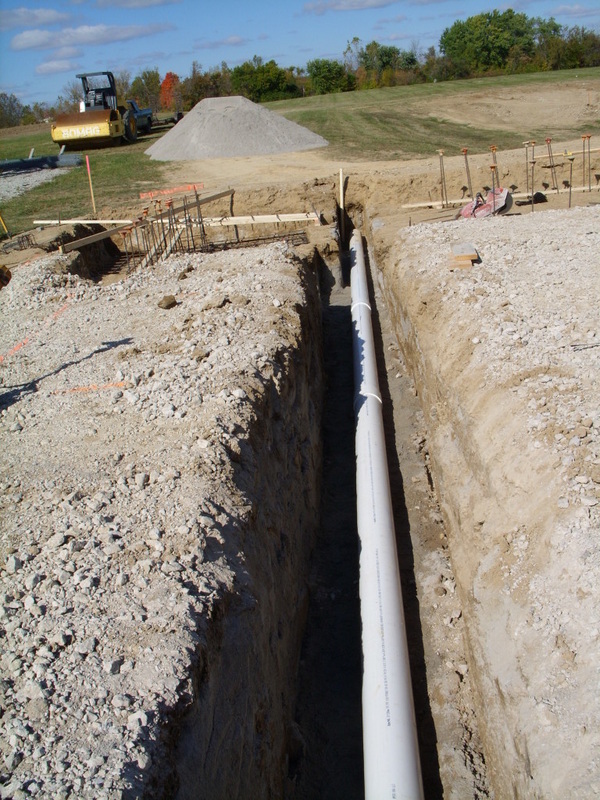 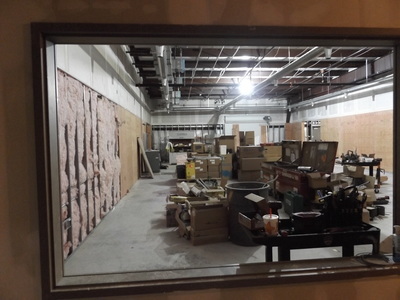 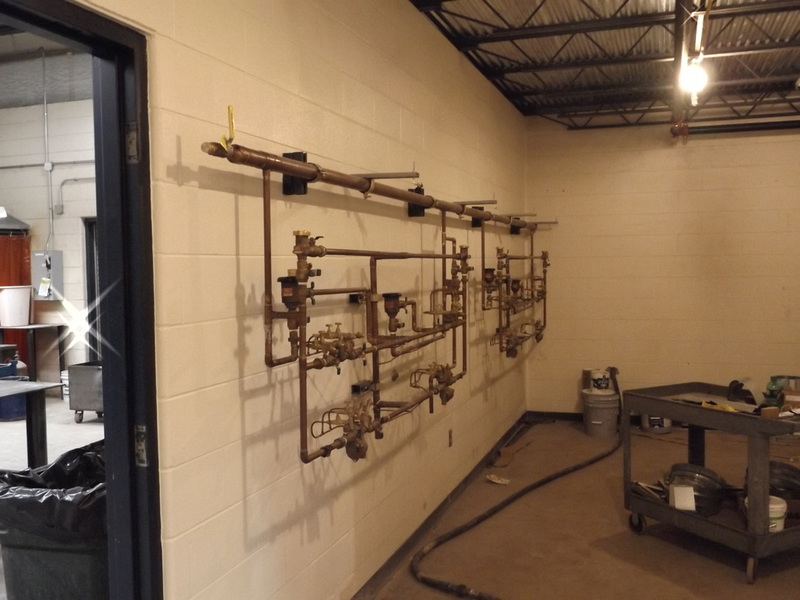 Studs and drywall have been put up and plumbing, footing, and underground work are under way here at the Local! Look for more post and pictures about our progress in the coming months.